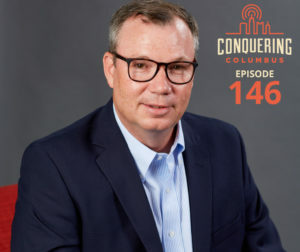 Kenny is the President and CEO of Columbus 2020, which is the economic development organization for the 11 county Columbus region. They work in partnership with state and local entities to generate opportunity and build capacity for economic growth. Prior to Columbus 2020, Kenny accumulated over 20 years of regional economic development and management consulting experience, with a focus on helping companies develop and execute their location strategies and helping communities achieve their goals. Kenny also serves on the governance committee of the International Development Council (IEDC). (00:06:30) What is economic development? (00:18:00) What makes Columbus great? (00:22:30) How does economic development operate?